I think that my Romeo might have been Budha in another life. Why? Budha is admired for his happiness, plenitude and wisdom of contentment. One belief popular in folklore maintains that rubbing his belly brings wealth, good luck, and prosperity. 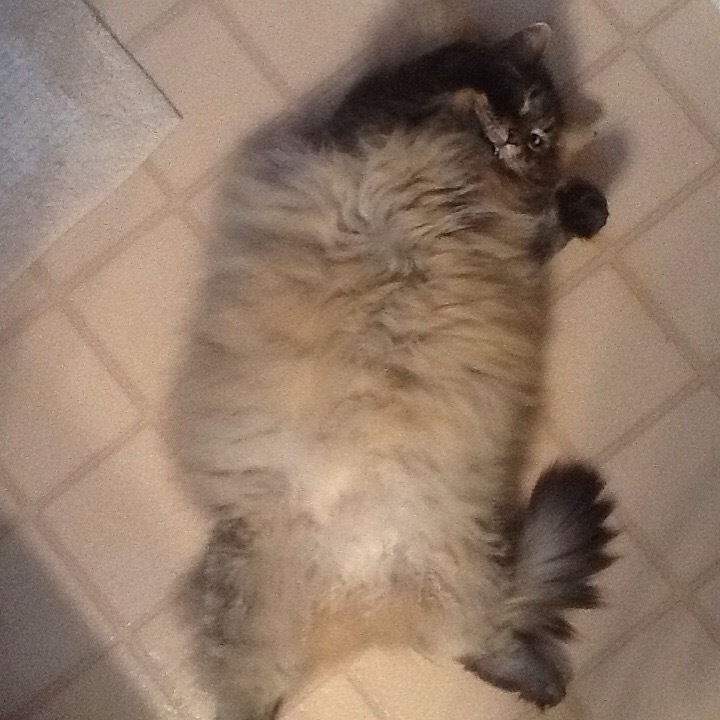 Romeo loves to flop on the floor by my feet and expose his belly when I am working on the computer, my job is to rub it, so he can purr so loudly one can hear it at the front door. My boy is so accommodating, a myriad of times during the day and evening, he will position himself near family members so that they can have the pleasure of stroking his charming spare tire. I have to say, I always feel lighthearted and carefree after I give him a good belly rub. My Romeo certainly has the market cornered on contentment and lord knows, he is the happiest feline I know. He is the only cat I have ever met that can suffer near death experiences and forget it in an instance by cuddling up to me and having his tummy scratched. He exudes happiness and to me that is pretty enlightened and most likely why he is still here to date! So I try and take a page from his book, and when I am feeling overwhelmed and life’s curve balls are getting me down, I search him out and rub his furry girth and after a few mere moments, I can’t help but feel joyful! Yup, my cat is Budha reincarnated, I think there is a little bit of godly like essence in all our furry companions. I love the ‘furry girth’ comment.